It's no secret that the Canaries are a popular destination during the cold season, as they are the warmest destination in Europe during winter, due to their sub-tropical desert climate. But the Canaries are also perfect for summer holidays, when the sun is shining at its best, the weather is perfect for sunbathing and the ocean water is also ideal for swimming. 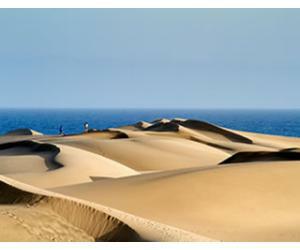 Summer holiday in the Canary Islands - what to expect? The crowd visiting the Canaries in the summer is very different from the usual winter visitors. In winter the islands are frequented by swallows, usually people from Northern Europe who come here to escape the cold winter back home, many of whom are retired and are looking for a bit of winter sun and some piece and quiet. During the summer months, the Canary Islands receive a different kind of visitors: usually younger families, coming on holiday with the children during their school holidays, plus many Spaniards, coming from mainland Spain. Is summer still considered high season in the Canaries? Yes it is. Anytime of the year when the schools are off it's considered high season. And if you think that winter is a busy season in the Canaries... then try to go to Siam Park on a weekend in July! The hottest summer months are definitely July and August, as you'd expect. During these two months the chances for rain are slim and it's almost guaranteed sunshine. We say almost, as when it comes to weather nothing is truly guaranteed. Even in 2018 the weather was a bit odd and there were some rainy days in August in Tenerife, which is not typical for this time of the year. High temperatures come with the risk of calima. Calima, or haze, is the phenomenon in which which usually dust or smoke obscure the clarity of the sky. Calima is not a rarity in summer, but it usually doesn't last for more than 2 or 3 days at a time and then the sky clears up and things go back to normal. We're not trying to scare you or to make you change your mind from coming to the Canaries in summer. Far from us this kind of thought. We are just trying to inform you on all the facts, so that you set realistic expectations. 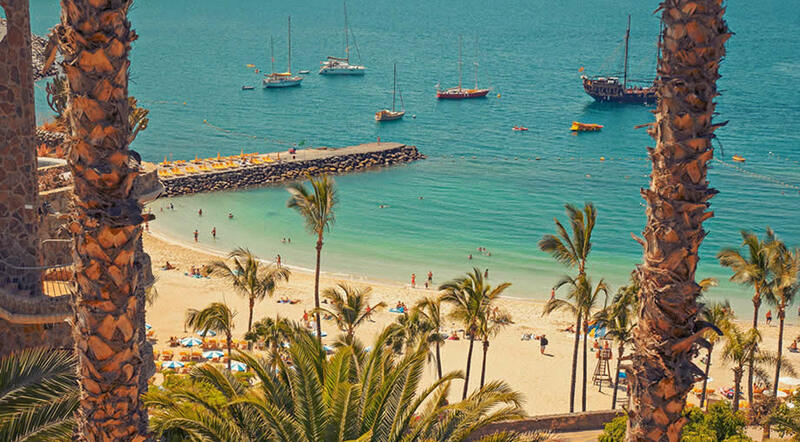 Summer is the best season to visit the Canary Islands if you want to fully enjoy the beach and the ocean. Temperatures during the daytime often go above 30 °C and it's hard not to get a tan even on days when the sun might be hiding in the clouds. The ocean is perfect for swimming and you'll see that some places look different in summer compared to how they look in winter. The natural pools in Garachico are a great example at that. They are fantastic to swim in during the summer, but they are usually closed in months like January or February because it would be extremely dangerous to go into the water due to the currents and big waves. 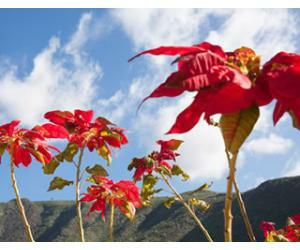 Each season is unique in the Canaries and has its charm, as well as its advantages and disadvantages. The disadvantage in summer for us is that it's busy. If you're visiting Tenerife in July or August and you plan to rent a car to drive to Masca village, then try and do it at the first morning hour. Otherwise you will be stuck in traffic. But we understand why the Canaries are so popular in summer (and in general) and it's only logical that many other people want to enjoy their beauty as well. All temperatures mentioned above are from 2018. 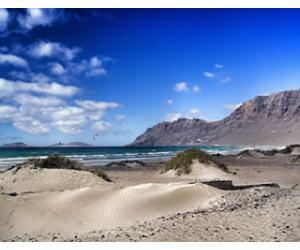 Conclusion - Which is the hottest Canary Island for a beach summer holiday? Our conclusion is that the differences in temperatures are too insignificant to base your decision solely on them. During the summer season the weather in the Canary Islands is usually suitable for sunbathing all over the island - yes, even inside Teide National Park you can encounter high temperatures, appropriate for working on your tan. July and August are definitely the hottest months of the year, with almost no rain at all. 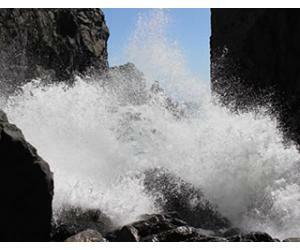 The ocean water is at its peak in August when it reaches a pleasant temperature of around 22 - 23 °C. Remember that the Canaries are situated in the Atlantic Ocean, and the water will always be colder than in places situated on the Mediteranean Sea for example (Greece, Malta, Sardinia) and colder even compared to the Balearic Islands or to Benidorm. But July and August are the perfect months for swimming in Tenerife, Gran Canaria and the rest of the Canaries. Like we said previously, in summer you can truly take advantage of the beaches in the Canaries. 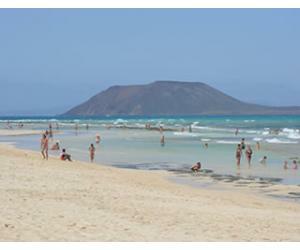 The Cotillo Lagoons are a must in Fuerteventura, Playas de Papagayo in Lanzarote, Playa Amadores in Gran Canaria and Playa las Teresitas in Tenerife. For example, Playa de las Teresitas is super popular in summer, but not so much in winter. Due to its location, close to Santa Cruz de Tenerife, this beach is truly suitable for swimming only during the summer months. Between June and September this beach will be packed with tourists, as well as with locals, coming to enjoy the gorgeous weather from all the towns in the area. Also, places like the natural pools in Los Gigantes and Garachico are a must in the summer months, as they are closed in winter. 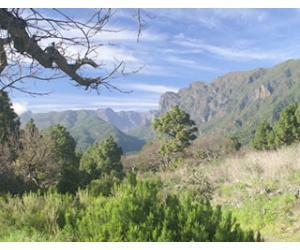 Summer is also the perfect season to explore the north of Tenerife. If in winter visitors tend to prefer the south due to the warmer weather, in summer you can even book a trip to the north without worrying too much about the weather. 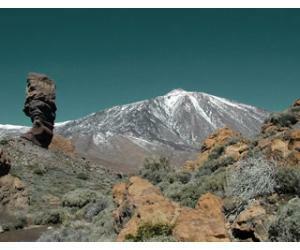 Between July and August in Tenerife you can explore the Anaga forest and do a great number of hikes inside Teide National Park, with a great chance for sunny weather and pleasant temperatures. Our advice is to choose whichever place you think would suit you best, as the weather will probably be hot and gorgeous all over. We tend to prefer those locations that are not so easy to explore during the rest of the year. But if you are not frequent travelers to the Canaries or you're coming for the first time, read more about the differences between the islands, in order to choose the best Canary Island for you.